Following news out of the United Kingdom describing the abuse of alcohol and the lack of proper regulation of alcholic beverages in that country, the Center commissioned a report to examine the relaxed alcohol regulation in the U.K., which is characterized by very high rates of youth intoxication and increasing incidences of alcohol-induced diseases. 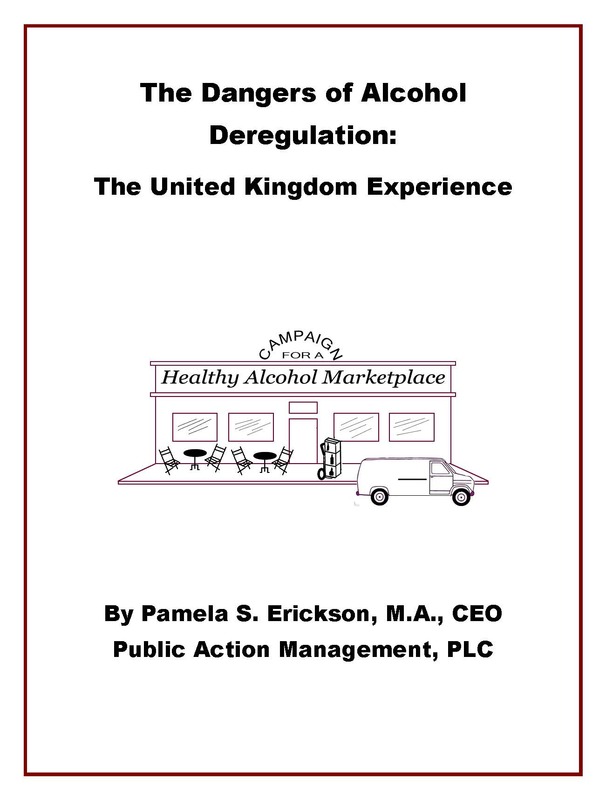 The report, “The Dangers of Alcohol Deregulation: The United Kingdom Experience,” was authored by former Oregon alcohol regulator Pam Erickson. The conclusion of the report: deregulation of alcohol has had many dangerous and unintended consquences in the U.K., and alcohol should not be deregulated in the United States. Erickson continues to monitor alcohol regulation in the U.K., publishing a 2012 update and 2016 update to the report. Pam Erickson also was featured in a Center for Alcohol Policy webinar discussing the effects of alcohol deregulation in the United Kingdom. To access her presentation please click here.